Please consider the following information carefully before submitting your application. If you have any questions, please do not hesitate to contact Dr. Nadine Székely, our programme manager! Before submitting an application, familiarise yourself with the study contents, all study-related information, and the admission guidelines. CHF 10 of each semester’s tuition is spent on student services. This fee applies to students who have never been enrolled in a Bachelor’s, Master’s or Doctoral degree programme at the University of Liechtenstein. It covers the costs of examining application documents, advisory and orientation conversations and/or interviews, and other services provided. Payable no later than the application deadline, the fee cannot be refunded or credited to other fees. If you have any questions, please contact the study administration. Students who plan to live in Liechtenstein during their studies and who are not EU/EEA or Swiss citizens require a residence permit (L), which allows you to work in Liechtenstein up to 35% during the semester and full-time during the holidays. For most employers, good knowledge of German is required for employment. Obtaining a visa can take several weeks. A deposit of CHF 3,000, plus application fees, is required to process the application for a residence permit in Liechtenstein. Additional information can be obtained from the coordination centre for permits (T +423 265 1111, bewilligungen@uni.li). Expect living costs of at least CHF 1,300 per month (higher in most cases). By the first week of the semester (i.e., when studies start), you must have submitted all officially certified translations to the student services centre. Please ensure that you do not send any original documents. We are not liable for any loss or damage. Have the following documents (PDF, JPG) ready to upload in forms that are fully legible so your application is not delayed. Some documents (e.g., language certificates or the Bachelor's certificate) can be submitted after the application deadline, but in no case later than at the beginning of the semester. Please contact us if you will be submitting such documents after the application deadline, as final admission to the programme is possible only after all documents have been submitted. Use the online tool to create a user account with your personal e-mail address, which we can then use to contact you during the admission process and after you begin your studies. You can interrupt the process at any time and continue later. None of the information you have entered or documents you have uploaded will be lost if you leave the system. Only after you submit the application, can it no longer be changed. If you have any questions, please contact Dr. Nadine Székely, our programme manager. 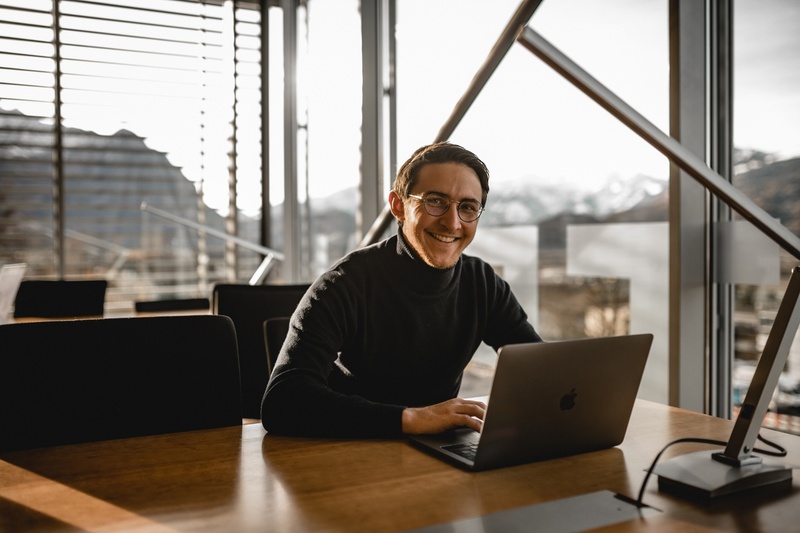 The University of Liechtenstein reserves the right to verify the authenticity of the documents submitted directly from the issuing institution and to reject inadequate translations or have their accuracy reviewed. What happens after we have received your application? Your application will not be processed until payment has been received, so please ensure that you pay the administrative fee for applications on time (see step 1). If we have questions about your application, we will contact you by e-mail. When the application is complete and we have reviewed it, we will send you an e-mail confirming whether your application has been shortlisted, admitted, provisionally admitted, or rejected. If your admission is approved, you will receive a provisional confirmation of admission and the invoice for your first semester. With payment of the tuition fee, you confirm your place in the programme, which is then guaranteed. If you miss the deadline for payment, your entitlement to the place offered will expire. If you have not yet met all the admission requirements at the time of application, but we expect from the information available that you will meet the admission requirements by the beginning of your studies, you will receive a provisional confirmation and the semester invoice. Applicants who have been offered a study place at the university are provided with detailed information about the start of their studies, living in Liechtenstein, travel, and other information. As part of our “welcome programme”, the student services team and the “reception team” will provide any additional information you need and take care of any concerns.